This old photo of me and my cousins from the 70's was just meant to go with the new Bo Bunny Christmas Collage I want it all bundle from FotoBella! I'm the one on the right. 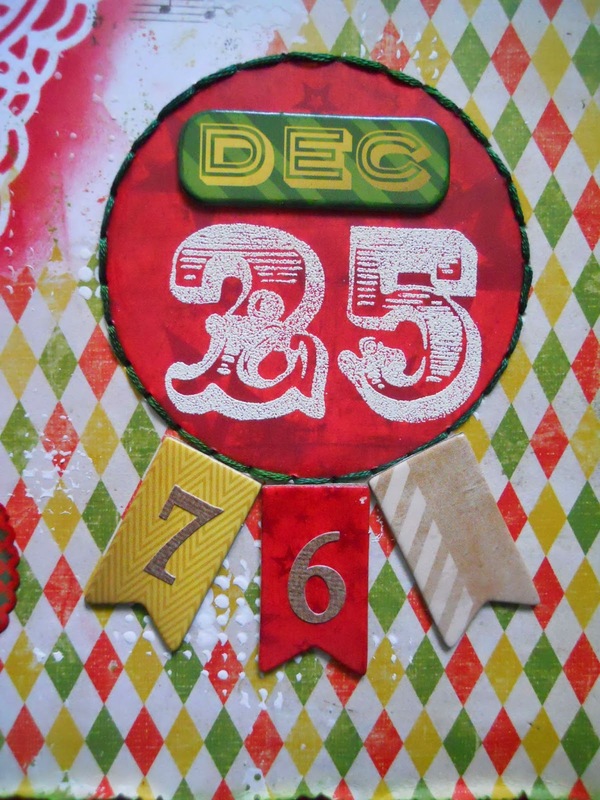 I started by masking a doily stencil using Distress Ink (Festive Berries). Then I used another stencil with gesso to create the dots on the background. I fussy cut the circles and medallions from the paper, and added buttons to them. 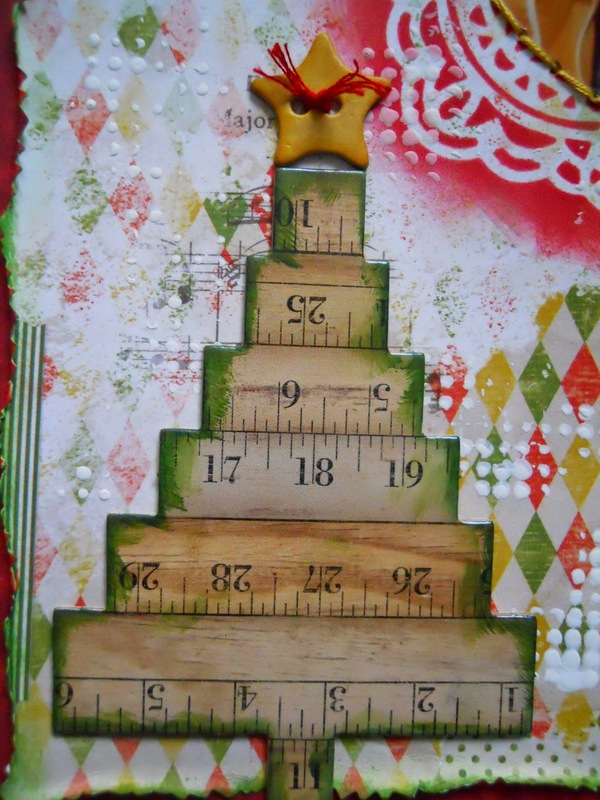 I also added the star button to the chipboard ruler tree, which I inked in green around the edges. The banner is also made from chipboard, and I added the year on it using the stickers that come in the 12 X 12 collection pack. 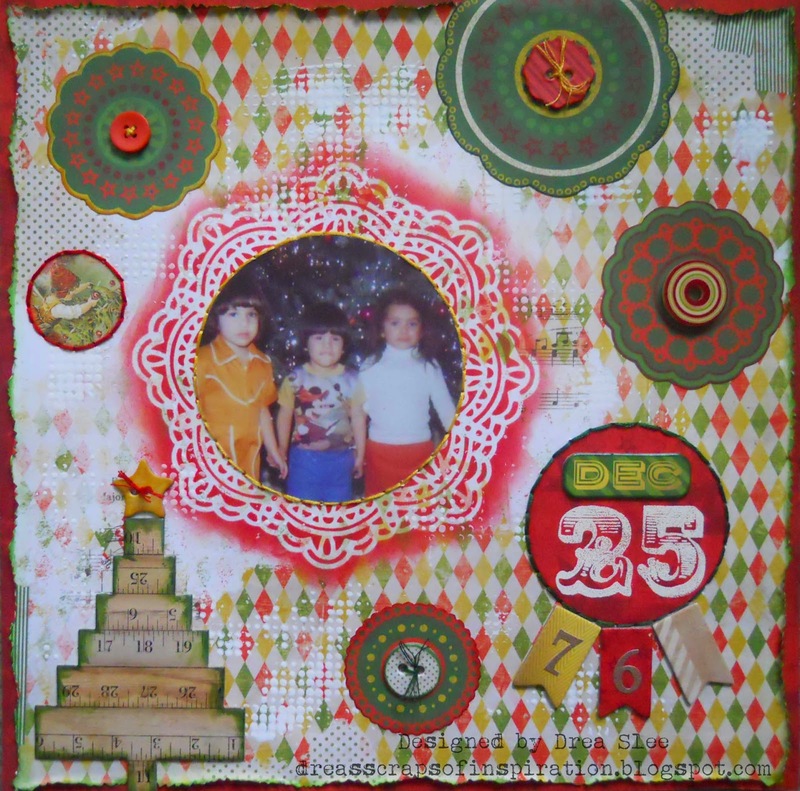 I embossed 25 onto the red paper and hand-stitched around it, adding the DEC chipboard on top. I also hands-stitched around the photo, and the circle image, of a girl hanging an ornament on a tree, which comes in the Noteworthy package. The holidays will be here before you know it, and this collection is perfect for all of those photos, old and new.